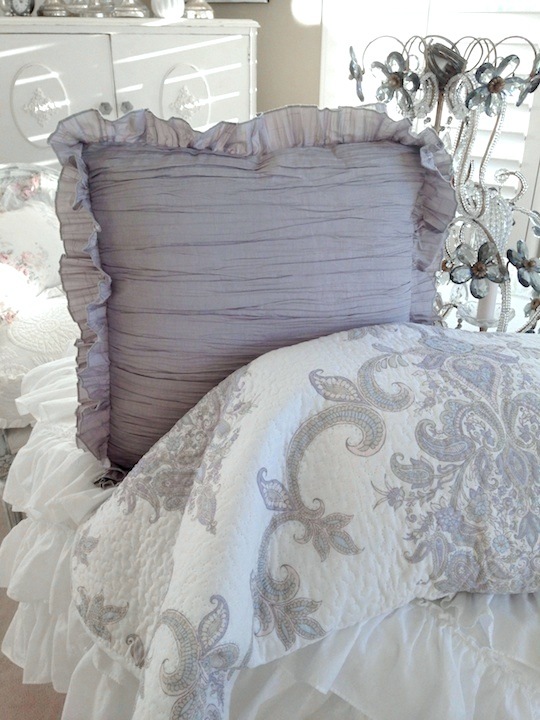 Chateau French Country Cottage Gray Double Ruffle Accent Pillow. 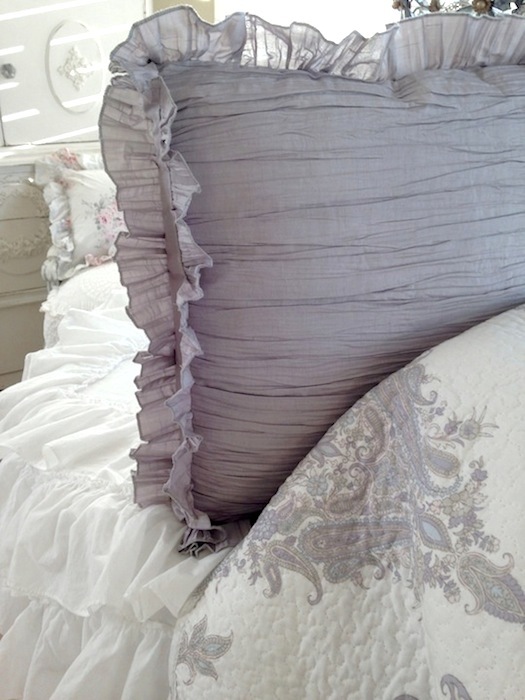 Measuring 17 x 17 inches with a box pillow design and double ruffles. 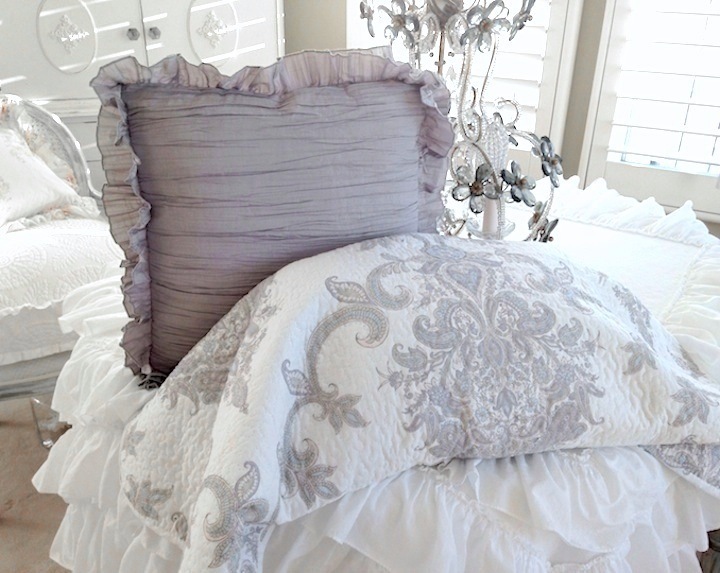 This gorgeous gray accent pillow (insert is included) is perfect with with our gray paisley bedding shown below and a wonderful accent with French Chateau bedding. Lightly ruched for texture with 2 rows of ruffles for a cottage touch! Brand new and the pillow insert is included.